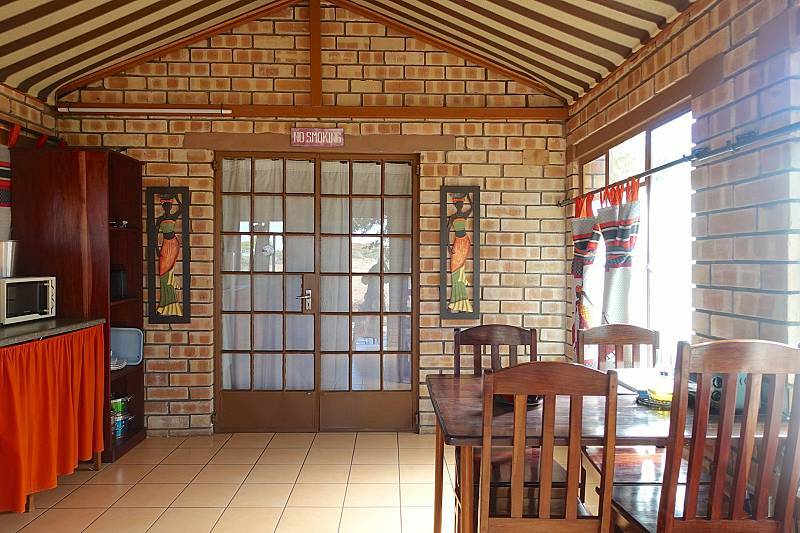 Address: Senyati- Situated in the Lesoma Valley, Northern Botswana, 20km from Kasane. 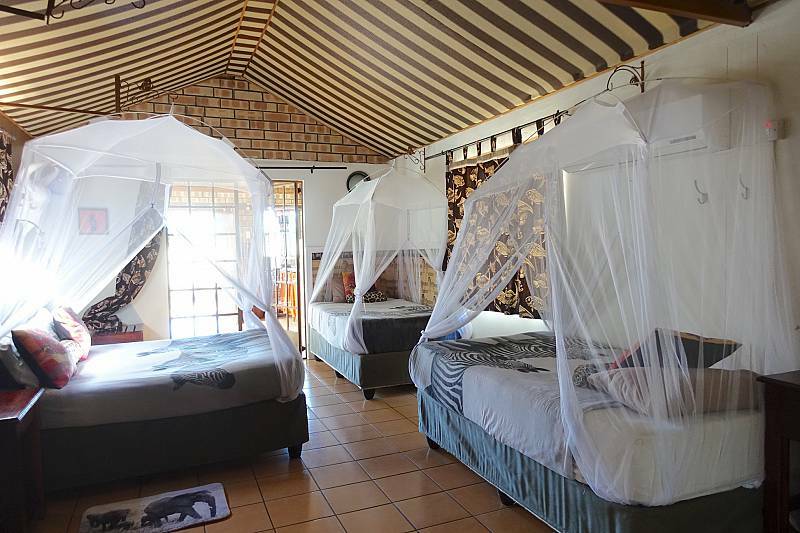 It forms a perfect base for trips to the Vic Falls, Chobe National Park and sunset trips on the Chobe River. 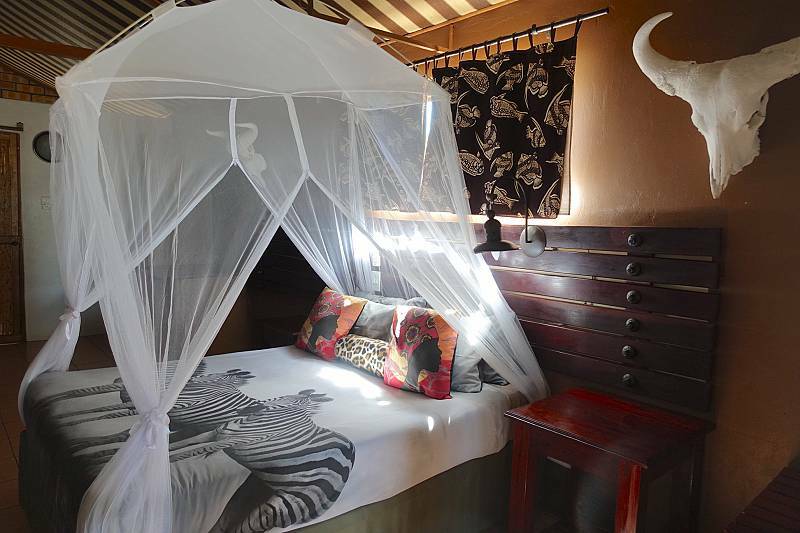 Senyati Safari Camp is comprised of 7 fully equipped, self-catering chalets and 17 campsites with each its own ablution facility. 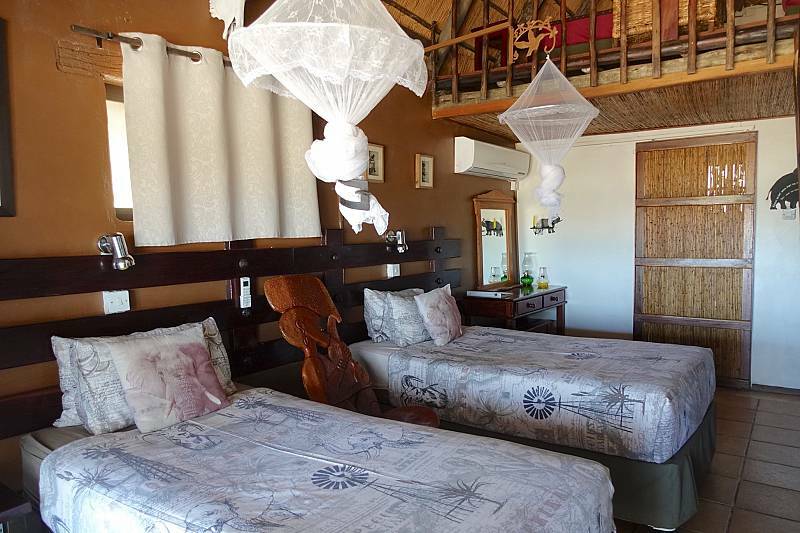 Each and every campsite and chalet are equipped with 220V electric points. 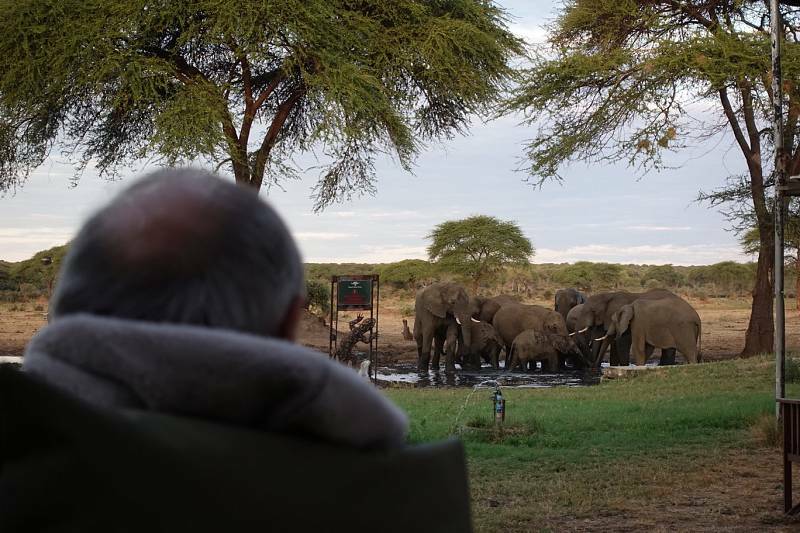 Our famous waterhole knows no privacy. 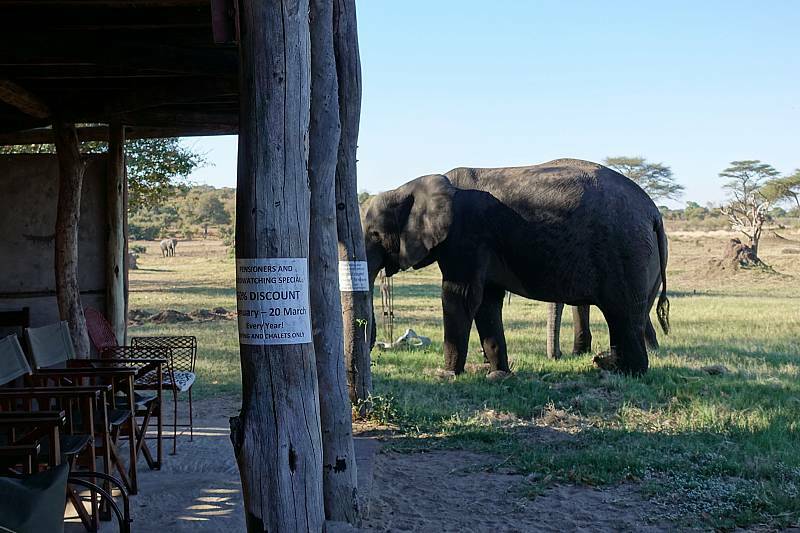 The hide under the deck offers a dream come true for photographic enthusiasts who can explore the elephant from a very close distance. 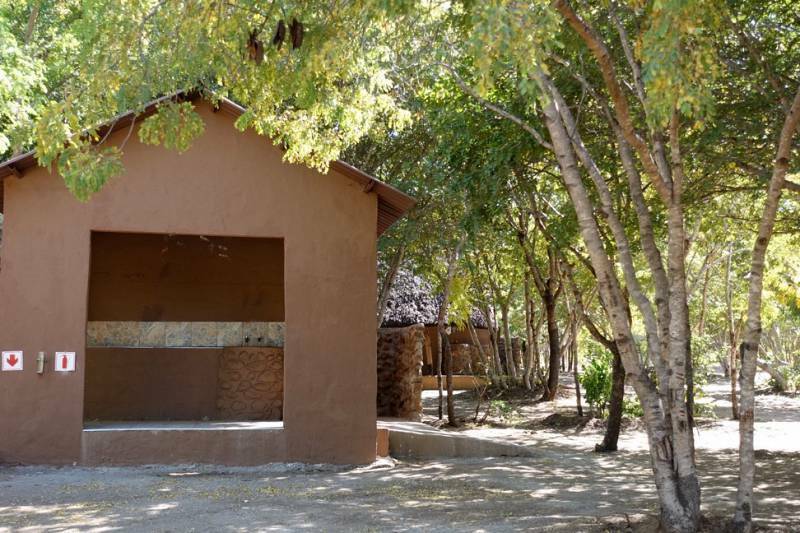 The waterhole is also frequented by a good variety of species such as hyena, banded mongoose, warthogs, roan antelope, monkey, baboons, buffalo, sable, elephants and the occasional leopard. Senyati offers free Wifi to all guests from the lookout deck. As evening falls and darkness comes the waterhole is lit by yellow flood lights. Our deck is open 24/7 to all our guests. 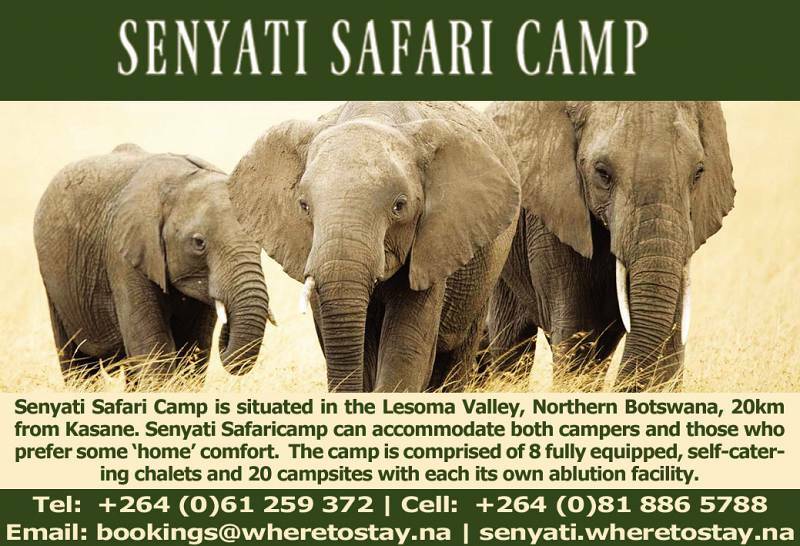 Senyati belongs to the elephants. 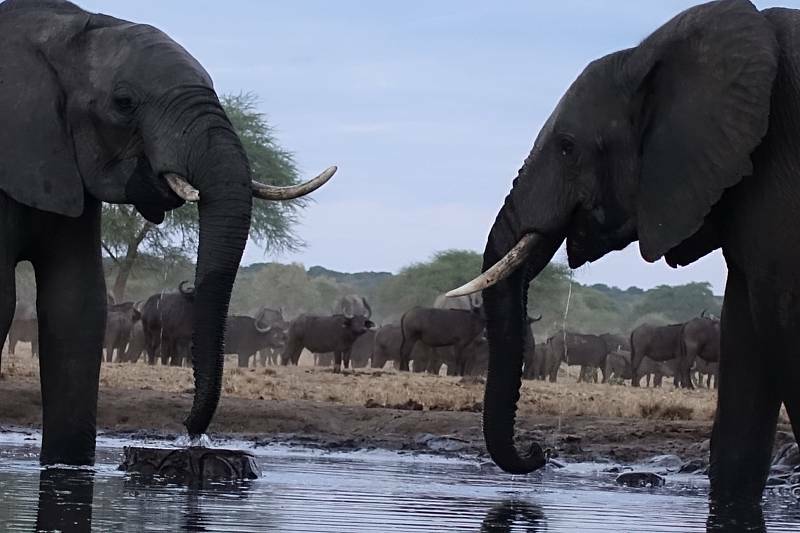 During a good day more than 400 elephants will come and go. 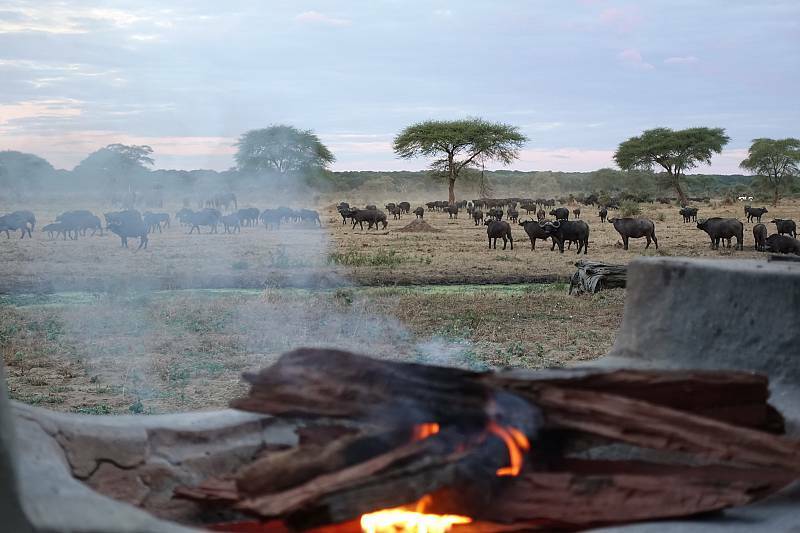 Herds of 300 buffalo or more come for a regular drink. When guests refer to our cash bar as ‘the Bar with the best view in the world’ they are not exaggerating – it is the absolute truth!